Since last year Julia was telling me to buy her rubber bands because she wants to make a bracelet out of it. Every time we'd go to Regina's she'd say, "Mom, can I buy the rubber looms when it's summer?". 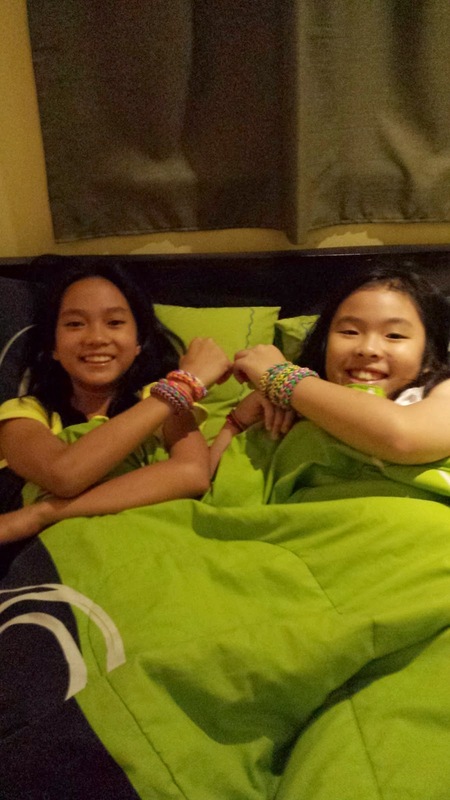 Julia along with her cousin, Meeca, finally made me say yes to rubber looms. 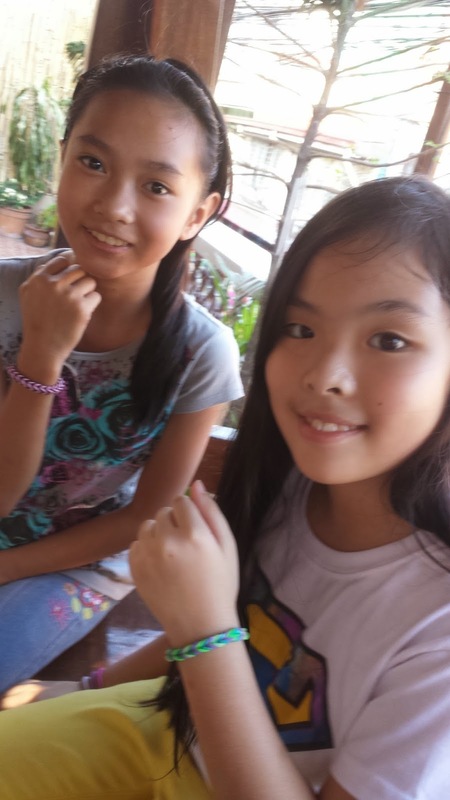 As soon as we get home in the afternoon, the girls started making bracelets. Until 12 midnight they were still up doing projects not just for themselves but also for Mama (their grandma) and their beautiful moms. 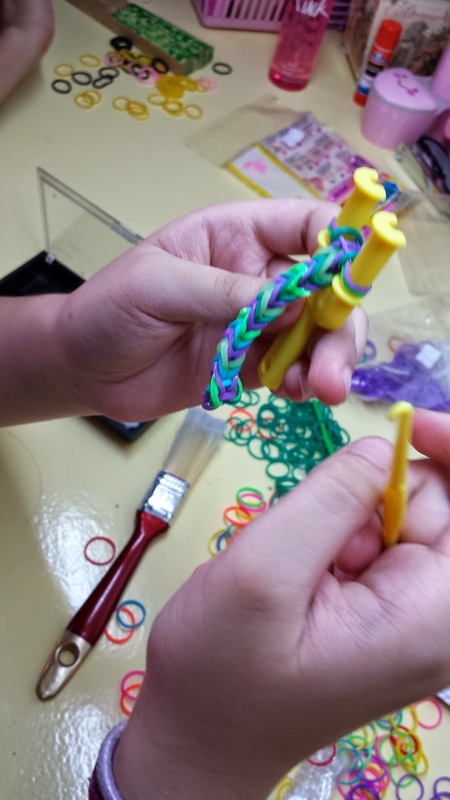 Rubber looms is a fun project that will keep the kids busy this summer. 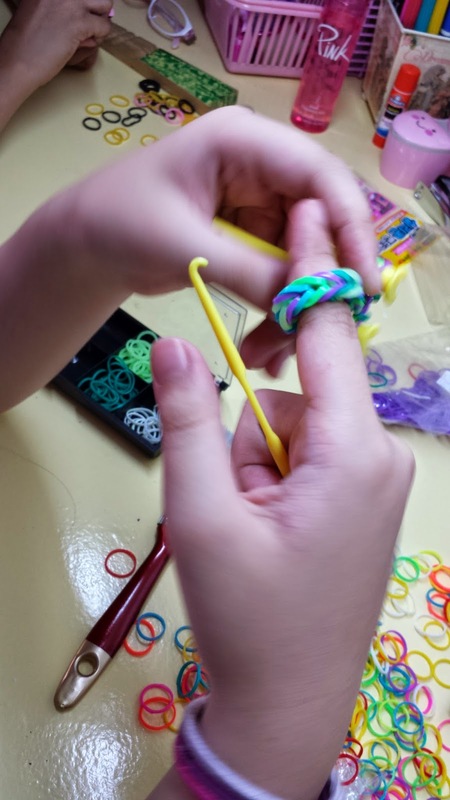 Rubber looms is a fun project for the girls to enjoy this summer. It comes in a variety of cool, fun colors to make your own unique bracelets, rings, and even belts and handbags. Rubber looms was invented by Cheong Choon of Novi, Michigan in 2011. Targeted market for this are children from 8 to 14 years old but I see my mom friends in FB as hooked as their daughters. I'll soon try my hands in making a bracelet, that's if I've enough time and energy as I still have to focus on my cooking skills. Nice bonding and that activity will make their summer memorable and productive too. 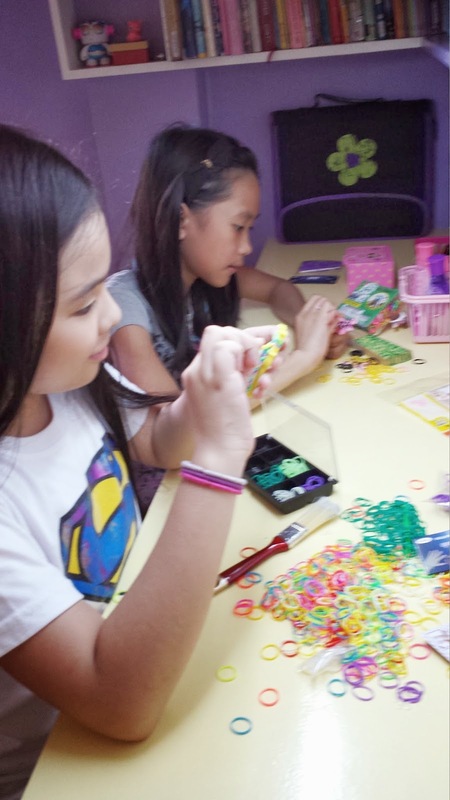 Ang ganda ng color ng room si girly and the rubber looms stuff make it more colorful.